Do you want to take a look at Frankfurt's skyline from an entirely different perspective? The relaxing scenic river cruises that take you up and down the river Main provide you with the best view of Germany's most stunning skyline. This trip takes you through the urban areas of Frankfurt towards the Western harbour, past Frankfurt’s impressive skyline. This trip takes you past the beautifully fashioned banks of the Main, with a detour to Frankfurt Osthafen. The next stop on this trip is the Gerbermühle. Here you can embark or disembark. Enjoy the best view of the most impressive skyline in Germany. We are delighted to welcome you to our daily round trip cruises on board our modern excursion vessel MS Palladium. Built in 2006, this comfortable ship has all the features you would expect, such as air-conditioning, top quality furnishings, spacious sun deck, bar and much more! 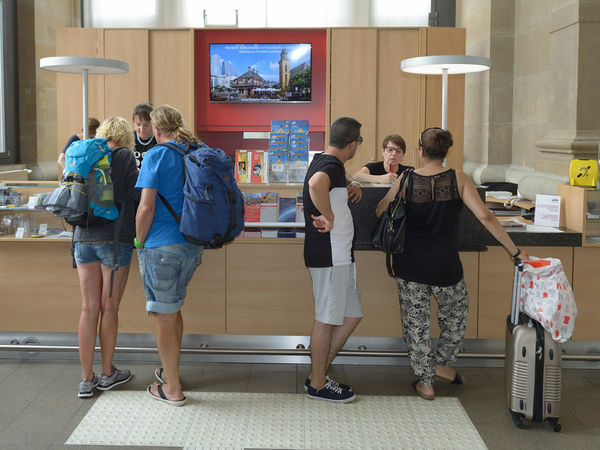 Tickets for Primus-Linie river cruises are available in Frankfurt's Tourist Information Offices as well as at the ticket counter of the Primus-Linie, Eiserner Steg. 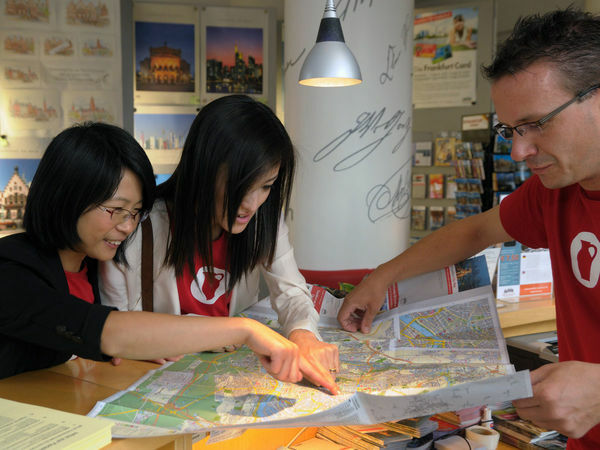 Do you have any questions regarding your visit to Frankfurt? Would you like information on sights to see, things to do, city tours, museums or hotels? Our Frankfurt Service Team is looking forward to your visit.